Two new videos show accomplished racing aces prepare with rFactor-powered simulators. 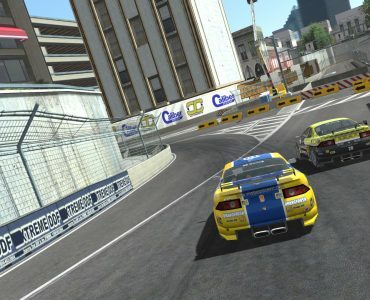 Image Space Incorporated might have released rFactor 2 but the title’s successor is still very popular – Not just with the average sim racer but with racing professionals as well. Below are two videos showing real life aces using rFactor to train and keep their reflexes sharp. The first shows MotoGP ace Casey Stoner who uses rFactor to prepare for his V8 Supercar outings later this year. While Stoner uses a rather basic Logitech G27 setup that many of you will have at home, other race drivers have a more sophisticated setup to play with. The second video shows Audi works driver Benoit Treluyer, reigning Le Mans 24 Hours & World Endurance Champion, and the amazing motion simulator he has set up ins his garage. Footage of his simulator starts around the 1:52 minute mark as Benoit explains how he uses the sim mainly to get accustomed to new tracks and learn his marks, something we have often heard from race drivers using sims. The people that make rfactor pro, for example? rFP and rF1/2 and VERY DIFFERENT things. Yes they are, but ISI did state that they have learned things from RFactor Pro and implemented some of it into RFactor 2. 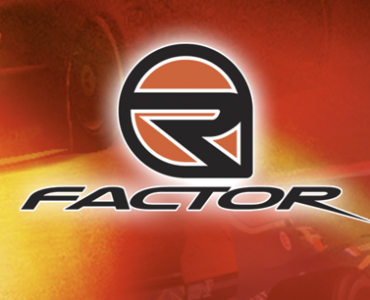 Go on the rfactor pro website and read up on it. Rfactor pro is a modular system that allows teams to plug in their own physics models and tyre models, and test components. It is probably the same graphics/sounds engines, but physics/tyre models will be much more advanced, probably developed by the team themselves and ‘plugged’ in, and nothing to do with ISI. Stoner won’t be using the sim to practise driving, he’ll be using it to get a general idea of the circuit, learn the brake points, know what corners are coming up. It will not be to replicate driving in reality because driving in reality involves using slip angles – something which the gmotor engine simply cannot replicate properly. I know that, they use the data from real life…is like a more advanced concept of modding. But still, its based in the rFactor engine. But I think people misuntersood my post…if rFactor is that bad (like some peole say) they would just use other sim instead…EVEN if they just want to learn braking points. The 2012 M3 DTM is “based” on the road going M3. But the similarities end with the name and a handful of visual cues. rFactor Pro’s successes DO NOT translate to rFactor or any future iterations as they are in layman’s terms: completely different in any way, shape, or form. rFactor Pro is not a “advanced concept of modding”, but rather a tool with the sole purpose of gathering data. rFactor Pro emulates, rFactor can only attempt to imitate. TL;DR YOU ARE NOT USING THE SAME THING THAT TOYOTA MOTORSPORT GMBH ARE USING. THE END. You have to realise that a simulator that’s bad when it comes to how handles drive at the limit pushing for those last 0.400 or so can still be a fantastic tool to train with. People that complain about Gmoter and specifically dislike ISI cars are normally talking about how the cars handle on the limit. I don’t think anyone really has a problem with ISI’s engine in terms of its raw computational accuracy within defined limits. Its also clear that ISI have very good technology for driver in the loop testing and that ISI have produced a good platform for F1 teams or independent developers to implement there own tire or physics models. If I knew each weekend that I was going to go out and drive a real car then I would not care so much if my simulator is crappy at “on the limmit” simulation . What’s more important for training is knowing the cars general envelope and having all the brake points and track layout ingrained. Then I can focus on the pushing in the real car which in many ways will be far more drivable than any simulator, even the best. Great response. I’d love to know if he’s using standard rFactor with a regular mod or some kind of custom stuff. Ditto if it’s rFactor Pro. It’s a good point about learning track layouts and generally how to work the car. F1 2010 taught me each current F1 track and every gear I should be using. NFS Shift taught me the Nordschleife’s layout even though drivers try to tell you that a game can’t prepare you for the real thing. sooo are you actually suggesting that if you play a simulator that you will instantly be fast in real life? Huttu is fast because he is. I think Huttu is fast because, like most online aliens, he understands how to get the most out of the car given whatever physics/car behavior it’s exhibiting. I saw one of Huttu’s laps in iRacing around Suzuka (F1 car) and he clearly has his setup to be crazy loose. He was practically drifting around all the corners and it was not realistic at all but it was extremely fast. That being said, he probably possesses a good deal of knowledge on how to read a car’s behavior which translates to the real world. I think anybody who puts in a lot of virtual car time and begins to understand car behavior would do well and many would do very well. Keep in mind that the majority of gentleman racers out their in GT3 classes are rich first, talented second or not at all. I think most alien simracers would do rather well in the real world given a good opportunity. Yes,there will be things to get used to like g-forces, visibility, temperature and all sorts of other physical issues but if they can sort that out, and the fear factor, I don’t see why they cannot excel in real life because it is essentially just another physics ‘set’. If they can find the limits of all the different physics engines, why should real life physics be all that different to figure out? Yup. When I see track day videos like that Porsche GT2 guy at CotA on Jalopnik I know he’s not a sim racer. A sim racer wouldn’t be taking those lines, grabbing the steering wheel like a Grandma on Sunday, etc. He runs a bit wide of the apex a few times and although he is in NO danger of going wide of the track he jerks the wheel to try and hit the apex and ends up fishtailing violently. I’d like to think that any good sim racer would start off at a moderate pace and work on hitting apexes properly, following proper lines and generally being smooth in all ways. Then as your confidence in the car grows you can go faster and faster. Not necessarily instantly, but its been proved that guys who are good on sims/consoles make good real life drivers – Ordonez, Mardenborough etc. You won’t need that expensive simulator to just learn braking points. No, but you would need accurately modelled tracks, lol. You don’t learn car control with simulators. You learn the tracks. This is not always true. If the simulator is well done, you also learn how to drive that car. The recent graduates from the Nissan GT Academy would disagree with you. They’re true amateurs and have been told they can’t participate in British GT3 because they’re too fast. As mentioned above, look at Greger Huttu not even owning a car but getting a Star Mazda open-wheeler around Road Atlanta within 3 seconds of the pro on a very hot day (he’s not in shape at all). What you forgot to mention is that these GT Academy graduates also receive an insane amount of input on the side. They have constant feedback, paired with a “Gold” level driver, muscle therapy, whatever it takes to get them to speed. To say that they are “true” amateurs is a massive understatement, as most amateurs will never receive as much assistance in a decade of racing as the GT Academy graduates have in a year. To say that anyone in British GT3 is a “true amateur” is a massive understatement. Do you have any idea the kind of money it takes to run in that series? None of these guys are true amateurs and the vast majority have the same tech teams, buses, massage therapists, and other things that top flight racing teams have. I think you don’t know what you are talking about. Once again, the Stéphane Ratel Organisation makes the decisions and not VirtualR.net commentator, EZehnder. In this instance, they misjudged the competitiveness of GT Academy. There is a line between gentleman drivers and a GT Academy graduate whom is receiving help day in, day out. Gentleman drivers do business to support their passion, and GT Academy graduates are basically, professional race drivers in the making. No, sorry, you don’t know what you’re talking about. Go look into the teams competing in British GT3 and tell me they’re not very well funded and have quite a bit of support. These aren’t people just showing up with lightly prepared cars. The cars alone cost hundreds of thousands of dollars, testing, equipment, team, transportation, admin, accommodations, etc. You are talking about the teams, I am talking about the drivers. But seriously, V8Factor is probably the best (to a guy who has never driven one) representation. It’s an awesome mod as well, shame there isn’t more tracks though of good quality. Man, I wanted to hear more about Kimbo Slice! And in other news, I never will be able to pronounce Benoît Tréluyer. Ever. Oh, and it isn’t like any pro who is using rFactor is using rFPro – IIRC, Sean Edwards was working with Enduracer’s on their mod, not to mention several other pro drivers working with mod teams. Why do people mock rFactors physics? The physics come down to the individual mods, not the game as a whole. There are some great mods with great physics, there’s also some very poor ones, it’s all up to the ones we drive. thought he would b on iracing. glad to see he is using rfactor just goes to show laser scanned tracks don’t mean everything. wait till he try’s rf2. More like, laser scanning means Nothing, not just it doesn’t mean everything. When you laser scan a track you only get how the track is at the exact day and weather so when you drive that track after few years the surface had completely changed already and the scanned version is inaccurate just like non-scanned. Did you ever tried a laser scanned track? I think no. The biggest difference is not the surface, but banking, layouts, curbs, bracking markers, ecc ecc. 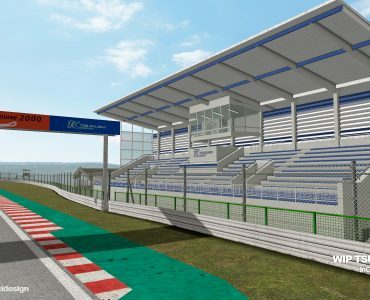 The differences between a laser scanned track, and a rfactor one is huge. All the pro drivers just “love” laser scanned tracks, this is the new standard for a SIM. Period. Want you know why Stoner is using rfactor? 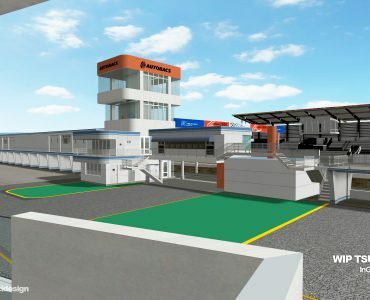 V8 champ tracks atm on iRacing: 1 (Phillip Island), Oran park doesn’t exist anymore, and Bathurst is not released yet. On rfactor instead there are all tracks of the champ. IMO not so difficult to understand. Could you please share the source of your quote that pro drivers “love” laser scanned tracks? If it’s not a direct quote, then it is merely speculation and shouldn’t be put within marks. Do you know who this man is? He is Stefano Casillo, aka Kunos. He is explaining how much important are for real drivers also object that are reproduced outside the spline of the track, because pro drivers can use them as references for example braking point, or turn in point etc etc. On a laser scanned track you learn the track with those object, and when you are on the real track you can find the same object on the same place, so you have to learn a track only 1 time. With a not laser scanned track, you have to learn one time on the sim, and then another time on the real track. Yeah, I cannot find real drivers saying they “love” laser scan, but if you’re smart you can understand how much better is learn a track just 1 time from a perfect reproduction done with a laser scan. I was criticising your grammar bud, not whether or not you were theoretically correct. I’m not a native english speaker, next time I will check better my grammar.